One especially heady aspect of the Arkansas General Assembly’s creation of the Arkansas Archeological Survey (ARAS) in 1967 was the fact that the accompanying appropriation bill to fund the fledgling organization was also passed and fully funded at the recommended $125,000. That was, indeed, big money for a state archeological program at the time. It perhaps goes without saying that establishing the ARAS Coordinating Office on the University of Arkansas campus along with research stations at three other campuses used up most of those funds. But not quite all. What to do with the rest? As Bob McGimsey wrote in the History of the Arkansas Archeological Survey, printed by ARAS in 1992 to celebrate our 25th anniversary, he thought it might be useful to bring together a group of colleagues to review the status of Lower Mississippi Valley archeology a quarter-century after the landmark study conducted by Phillips, Ford, and Griffin. 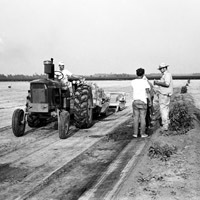 Neither Ford nor Phillips were able to participate, but James B. Griffin (University of Michigan) expressed interest and as a result the Mississippi Alluvial Valley Archeological Project (MAVAP) was created and with modest ARAS support a series of meetings and field trips drew the participation of many archeologists working in the region. 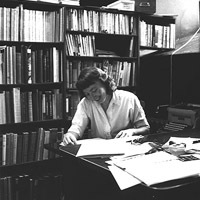 At one meeting in St. Louis, plans to support an initiative for federal legislation to protect archeological sites, leading eventually to passage of the Moss-Bennett Act, catalyzed a more immediate product: Stewards of the Past, a small booklet written by McGimsey, Hester Davis, and Carl Chapman (University of Missouri). Printed by ARAS in 1970, it was distributed at cost ($10 for 50 copies for the first run) by the Arkansas Archeological Society. 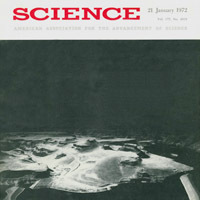 Over the next few years 60,000 copies were distributed. Long out of print, in honor of ARAS’s 50th anniversary we are making available a PDF copy that our readers can download here. 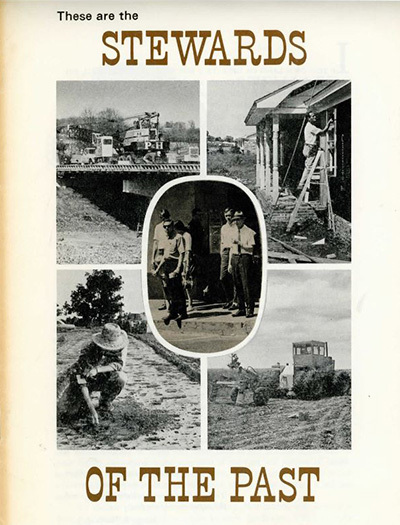 Aimed at landowners, from individuals to small businesses and larger corporations, the booklet encouraged them to play their part in preserving archeological evidence of the past. Importantly, the booklet provided a series of principles and phrases that are as valuable today as they were back then. We provide below a selection of our favorites (italics in the original). “If we do not preserve this information, all future generations will have lost forever the ability to experience and profit fully from the past. We must exercise a stewardship over these resources with vigor and with a sense of urgency. … We cannot wait until it is more convenient or until there might be more funds from which to make appropriations, for there is no more time. The past belongs to everyone. Archeological sites are non-renewable resources. Preservation of our nation’s archeological heritage requires everyone’s support. 1970 These are the Stewards of the Past. 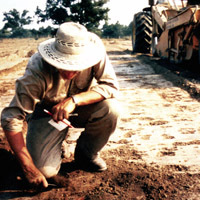 Mississippi Alluvial Valley Archeological Project.